Any plumbing issues – whether it’s in a commercial or residential property – can be frustrating to deal with; other situations will require you to get an emergency plumbing professional to deal with the plumbing issue right away. Plumbing emergencies can cause severe damage to your property; they are best tackled by someone with the right tools and experience. Thus, if your home or commercial building is at risk – along with, most importantly, your safety – then it’s vital to call an emergency plumber immediately. Have a Plumbing Emergency? Get in Touch! Our friendly and experienced staff is ready to serve. Submit your name and email address and one of our plumbing professionals will respond quickly. From gas leaks to sewer backups, broken pipes to HVAC breakdowns, several plumbing scenarios can come up – sometimes without signs, you can easily watch out for. The critical thing you can do to lessen the risk of an emergency is to maintain your plumbing system properly. However, it’s still important to have an emergency plumber contact in case you need one. In today’s post, we’ll talk about some of the most common emergency plumbing situations and what your first steps should be if you experience these issues. The main water line supplies the running water in your house. This water comes from the county or municipal supply. If the main water line gets broken or clogged, your water supply will be completely cut off. When it does, call an emergency plumber right away. It’s the responsibility of the property owner to get his or her main water line fixed when it breaks or clogs. If left unfixed, this can cause flooding in your foundation. If you notice any changes in water pressure or if you see water coming up from the pavement in front of your property, you should contact a professional plumber to check it right away. 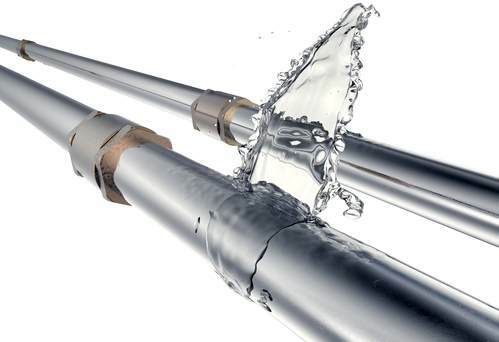 Water leaks can raise serious plumbing issues. Most of the time, you don’t notice the negative impact of it once it has already spread throughout your property. Water leaks start out small and out of sight – then the next thing you know they are a major plumbing emergency. Once water leaks have expanded enough, your building materials get ruined, the wood starts to warp, and plaster is destroyed. This type of plumbing issue needs to be addressed as soon as you found out about it. Even if you only have a sneaking suspicion and you’re not 100 percent sure that you have leaky pipes, it’s best to call a professional experienced in water leak detection. A damaged washing machine drain and hose can result in flooding throughout your home. There are several reasons why this may happen – from using too much laundry detergent to running the machine for too long. If you see soapsuds overflowing, then you should open the floor drain to let the water out. If the issue continues, call an emergency plumbing expert to fix the problem. 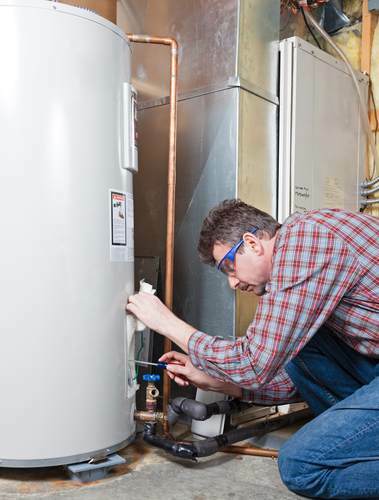 Faulty electrical wiring, a problem with the gas line, or the age of the device can cause a water heater to break. And this brings undeniable stress and frustration in your household. You can’t cook, bathe, and clean without hot water. If it’s indeed an older water heater, then consider replacing it, if not contact a plumbing professional to know what the issue is. Like we’ve mentioned above, a broken water heater could be due to a problem with the gas line. If you smell gas, you must evacuate your home right away and contact an emergency plumbing professional or a gas company. Gas leaks are a serious problem; they are toxic and will require more than a DIY repair.